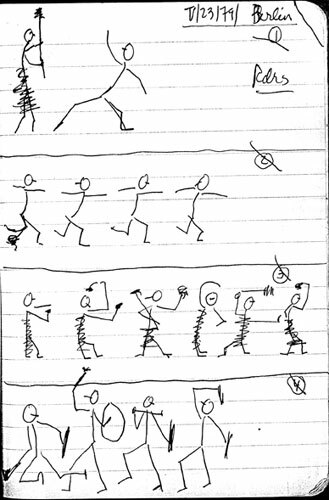 Entries tagged with “Modern Dance”. I mentioned in the previous post that rarely do these discs hold up as statements in and of themselves but that it is necessary to focus on the individual pieces. Those first couple of discs then go on to be the exception that proves the rule in that their structure and the pieces contained therein almost all work. However this situation does not last and in this second two disc set we definitely find a high degree of discontinuity between the pieces and what for me are some real duds in the set. Now while disappointing to listen to I do think that the inclusion of these pieces is still with value w/r/t the historical nature of the set. 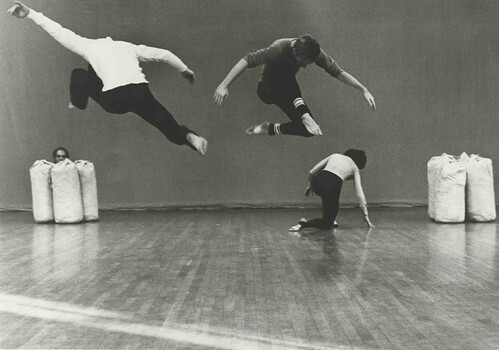 That is to say the company danced with these pieces, sometimes for years, and thus they are as much part of the Dance Companies repertoire as the pieces that worked. What disappointed me was the number of pieces from composers that I really liked that I found myself really hating here, especially from Takehisa Kosugi. Now again personally I think that anybody who champions any composers entire body of work is a fan boy not really a music fan, for everybody fails at times or composes for a different aesthetic. So taking that into consideration the disappointment here is that of course one always wants to find that great new piece and when someone who has the potential to deliver it fails to do so, well that always is a bit of a let down. 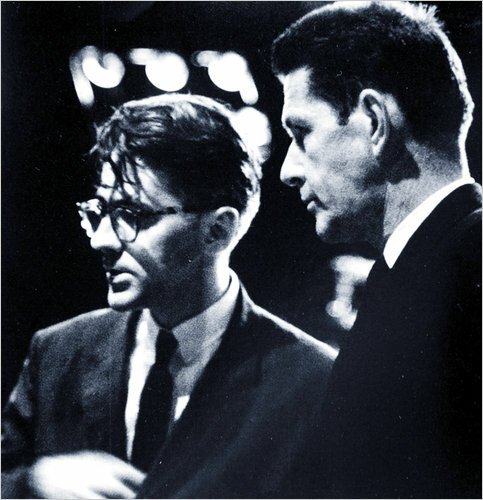 But I mention this simply to state that nearly all the composers here have work I love and any criticism is simply of these pieces and performances and not of them. Of course there also are pieces by composers and performers that I simply do not care for and a couple of those make their appearance in this particular set (the Bo Nilsson from the previous set fits into this category more or less, but the music itself I was just rather indifferent toward). This is simply taste; I’m sure there are those who would enjoy them. I don’t tend to spend much time on these piece except for describing them a bit and perhaps explaining what it is that fails to connect for me. 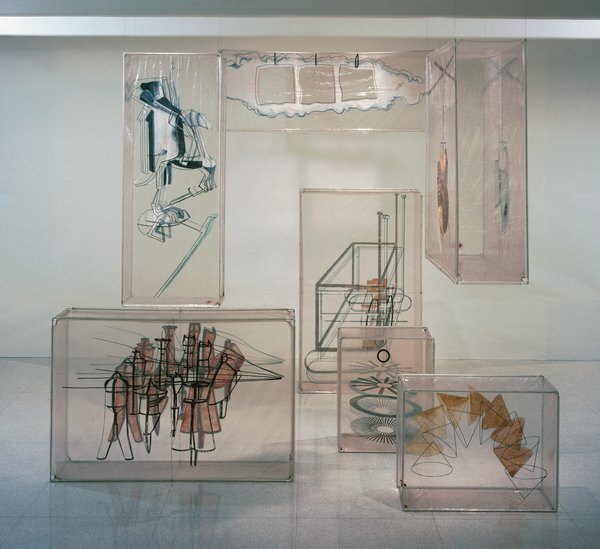 Walkaround Time has to be one of the most visually striking of all of Cunninham’s dances with it’s Jasper Johns created inflatable extracts from Marcel Duchamp’s stunning Bride Stripped Bare by Her Bachelors, Even. 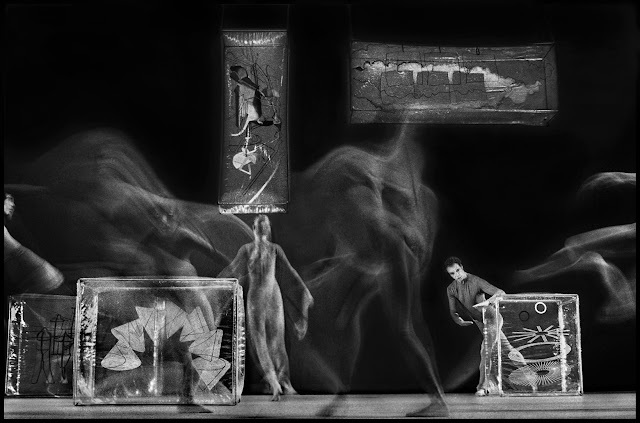 While I’ve never had the pleasure of seeing the dance, it has been filmed by Charles Atlas of which I have seen excerpts from (this should be another candidate for DVD release) and the sets and dance are pretty stunning. 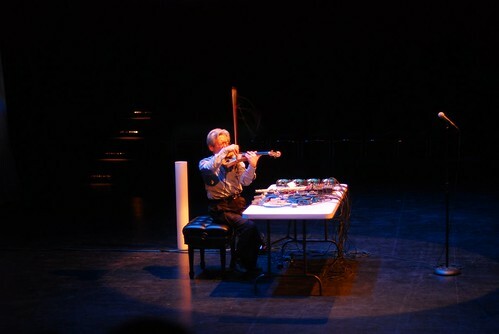 The music, by David Behrman of whom I’ve previously enjoyed several pieces from, is part and parcel with the piece in that it is made up of overlapping recordings of readings from and about Duchamp, notably extracts from The Green Box, which Duchamp considered an integral part of the Large Glass. Among the various texts read that are included in this excerpt is a detailed physical description of the Large Glass. While this is without a doubt a multimedia masterpiece I don’t find the excerpt from this piece in isolation remarkably interesting, but I have no doubts that it adds to the entire experience in context. Text pieces, especially ones such as this which are solely constructed out of text, can quickly wear on me, so for this set a short excerpt is actually preferred in that it gives one the feel for the piece but doesn’t overstay it’s welcome. However this one is really well made, at least in this short extract and the overlapping is exceedingly well done. I definitely think that in context it would add to the proceedings and not become overly wearing. This is a great piece and a fantastic realization of it, that I’d previously heard on the Tudor LP A Second Wind for Organ. Overlapped recordings of the baroque organ with a really wide range of sounds extracted from it. Ranges from subtle whistling to massive organ blasts with typical Wolff spacing and silences. There are sounds that evoke a rattling, clacking mechanical device while others the longer breathy tones you’d expect from an organ. Really a lot more expressive then one would expect from an organ with Tudor really working the instrument for all available sounds. Previously released on A Second Wind for Organ though this is a slightly longer excerpt (wish the whole thing was released). This is a live recording presumably different from that on A Second Wind for Organ; you can hear the dance and audience. Presumably Tudor is playing with a tape, in the liner notes for A Second Wind for Organ it describes Tudor as playing a superimposed version of him playing the inside of the organ with live recording and this is presumably how they’d do it live. For 1, 2 or 3 People was written in 1964. was written in 1964. Any instrument(s) may be used. This performance was made on a Schlicker Baroque Organ belonging to the sculptor Richard Lippold. 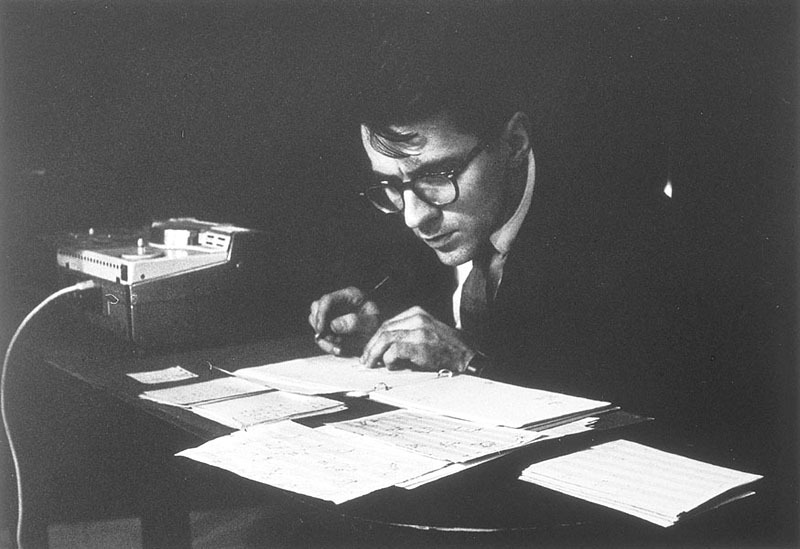 Taking advantage of the special resources of the recording medium, David Tudor has superimposed two versions of the same material, one played on the keyboard and one from the interior of the organ. The selection of material for the superimposition was made in a way which remains faithful to the requirements of the score and admirably realizes the composer’s conceptions. A more jaunty piece than the previous and one of the Christian Wollf pieces that is more frequently heard. It has little short segments that can be repeated at the performers discretion so you often hear this little bits over and over as if they are scales being practiced. Very spacious performance of this piece, with several long segments made up of isolated small events of a very subdued nature. There are a number of sounds derived from extended techniques on these instruments, making for a varied collection of sounds among the more recognizable. Lots of laughter from the audience, presumably in reaction to the dance. The live nature of these recordings adds to them I think. Applause comes at varying times including the finale whilst the music is still playing. From Mumma’s description it seems pretty clear that we are hearing his or Tudor’s section of the piece. With Cage’s being spoken word amidst silence, the whole piece clearly will have a gentle outline overall but would differ from what this excerpt leads us to believe. Sort of like Variations V in that the dancers trigger the action but in this case it is even more tied into their movements. Mumma’s live electronics works in a wider range then Tudor’s but sometimes includes some of the cheesier sounds that seem more dated. It is interesting how prescient Tudor seemed to be in his choice of sounds. Overall though most of Mumma’s electronics are great, second only to Tudor in his use of them. 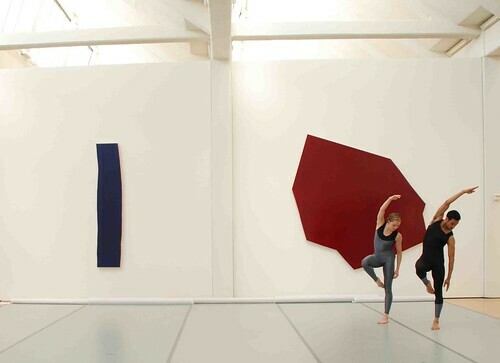 This piece is a bit bleepy, perhaps tied to the dancers movements but also perhaps to what is triggered by what. Some good crackly sounds sort of akin to brillo pads on guitar pickups along with the swoopy and bloopy sounds. 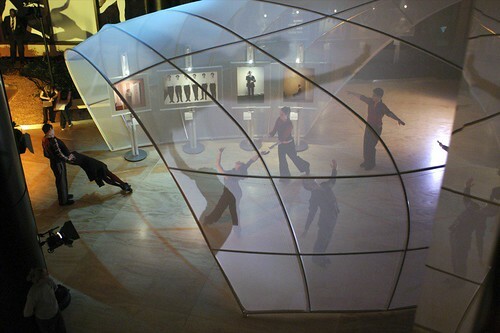 It captures the spacious nature of the dance nicely, with these sounds seeming to move around in space and change dynamics based on activity. Sounds of the dance come through as well. The later half becomes even more interesting with a continuous high slightly distorted whistling sound and burbling of perhaps resonant filters. Rather subdued even with continuous sound and the audience and dance more present. Nice piece overall and good to hear an entire piece of this nature. 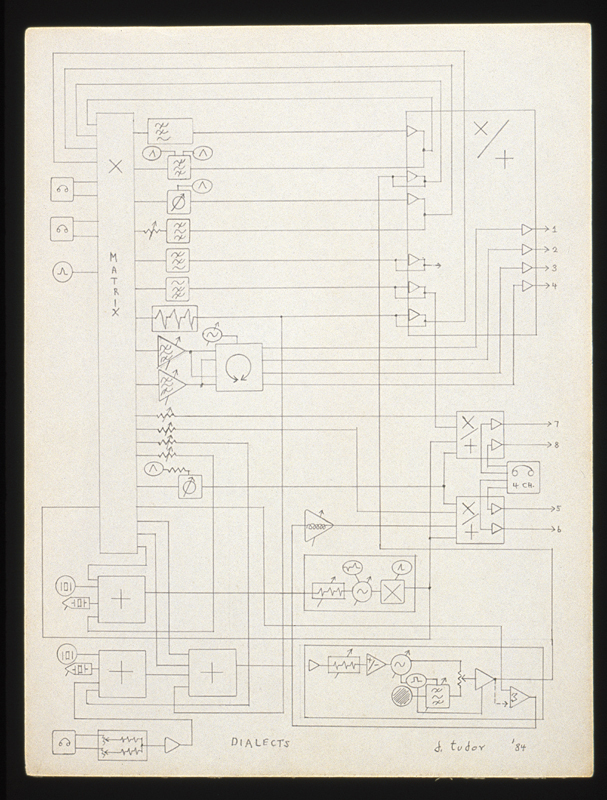 A great piece, perhaps the definitive Tudor live electronics piece. 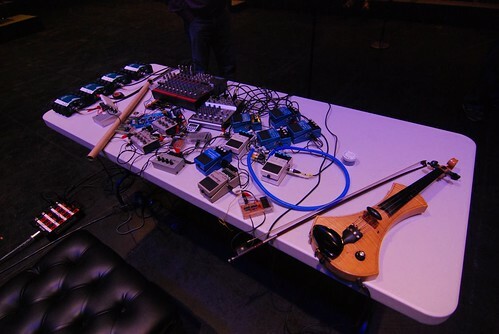 A raucous piece constructed of networks of feedback, it arrives with the intensity and drive of an approaching freight train and while retaining that drive, goes through a range of densities and sounds. Great deep buzzing feedback at the beginning with a continuous steam engine like sound running through it. Fantastic squealing section in the middle, like a slipping belt. Good use of space with several silences coming at various times. Not even slightly dated this music is as revolutionary now as it was in the 70s. Fantastic; a set highlight. 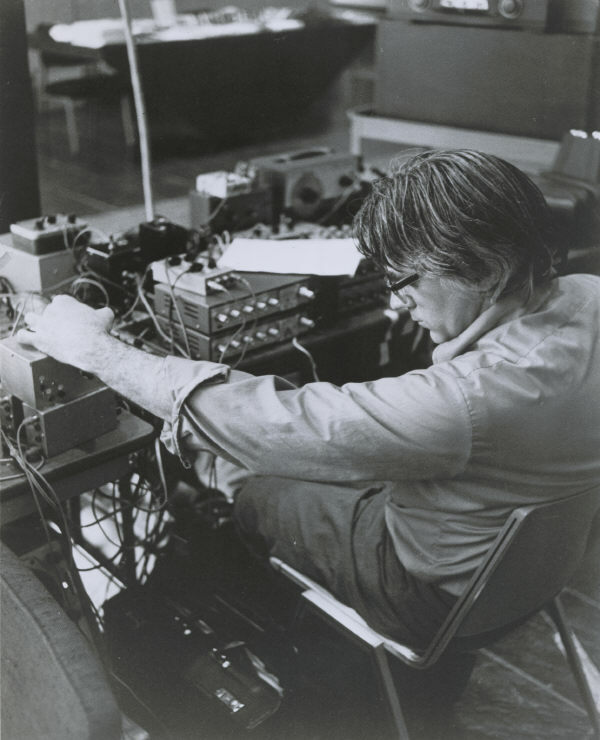 This piece was previously released on David Tudor: Live Electronic Music (Leonardo Music Journal CD Series 14) but thankfully it is a different performance. Considering that this was always performed live and that it utilized an unpredictable feedback network it is great to hear it in another version. It has a recognizable shape but the details are different. This is the aspect that really defines a live-electrionics performance – the electronics configuration is the score but it is always indeterminate in realization. The first real dud on the set. Nearly every time that Kosugi opens his mouth it’s an embarrassment but none more-so then on this piece. Basically making mouth noises into a delay it is beyond cheesy. Incredibly hard to listen to and impossible on headphones. When its just violin into the delay this piece is okay but far too much vocalizations. A case where one wishes the excerpt had been a bit more strategic and much shorter. I’ve really liked a lot of Kosugi’s stuff that I’d heard prior to getting this set but really hate virtually everything he’s involved in here. Disappointing as I do think his instrumental stuff is solid and I was really expecting some new and interesting pieces from him..
She used material from this telephone work in a number of pieces including her accompaniment to John Cage’s Lecture on the Weather as well the this piece for the Merce Cunningham Dance Company. It begins with a whistling, very high pitched tone contrasted with a lower pitched sound that comes in and out. The lower sound almost sounds like a rubbed snare or something but with no attack. Its almost like a Sachiko M, Sean Meehan duet but with stronger psychoacoustics. A great piece that I bet would be all enveloping at full length. Flute with delay, which I have to admit doesn’t do much for me. The flutework is phrase driven with pauses between the phrases to allow the delay to play out. Sometimes chording with himself via the delay. While conceptually this is not a priori uninteresting (later in the set Stuart Dempster will utilize a long natural delay to build up hypnotic washes of sound from trombone and conch) in execution here it seems cheesey. Interesting that my least favorite pieces of the set so far just seem to be be people screwing around with delay. As that technology became more pervasive, practicable and portable there seemed to be certain musicians who just became obsessed with it. But so much of it just sounds like a stoner sitting in his bedroom screwing around with a delay ala the earlier Kosugi piece. This piece is made up primarily of conch shells, filled with water that are moved such that the water sloshes around inside them. Due to the nature of the chambers inside a conch shell the water will burble between the chambers with an unpredictable release of air and sound. The above video of a performance of the piece from a fairly recent concert demonstrates this better than any description can. It’s a great piece with its unexpected gurgles and hisses of water in the conch shells. Alone with the burbles, bloops, bubbles and belches there is this faint staticy sound that is hard to source: from the recording process? some aspect of the performers clothes? 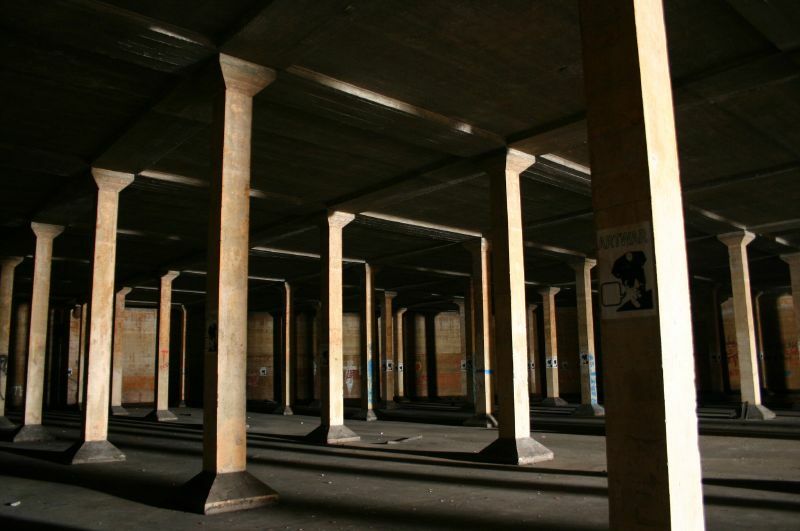 or the echos of water in small chambers? Who knows but it sounds neat and compliments the water sounds well. Even more effective at its full length still nice to hear this original version. A Spiral Cage is powered by	WordPress 4.6.14 and delivered to you in 0.330 seconds using 23 queries.